Paint-AR App Mixed Reality Tools - On the App Store! IMC Lab incubates companies & makes proprietary VR/AR apps, mixed reality (XR) systems, cloud & A.I. software. We work with governments, United Nations, NGOs, architects & real estate, as well as developing our own apps for big data visualization, education & arts. Our work has been in museums, Times Square, NBA/MLB stadiums, Live Nation concerts & movie theaters across the globe. Our VR/AR apps, XR systems, cloud & A.I. software run on millions of mobile devices, Vive, Oculus, Gear & Hololens VR/AR headsets. Our multimedia R&D & educational programs include an artist + coder residency (Co-Create), collaborative projects & events on media art & design. 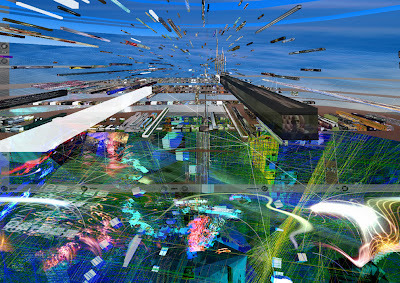 Resident artists Omer & Tal Golan (OMTA) held a solo exhibit at IMC Lab + Gallery, featuring new media installations incorporating algorithmic painting, generative imaging, virtual sculpture playgrounds & digital ownership. 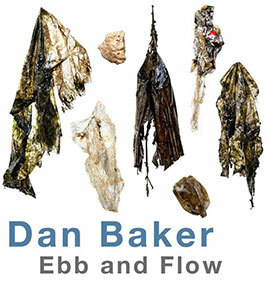 "Ebb & Flow", is the stunning result of Dan Baker’s Co-Create residency at IMC, which pairs artists with technologists to create new media & socially conscious art. Featuring a kinetic, data-driven installation environment: a network of floating sculptures, motors & pulleys, immersive visualizations & sonifications generated by the orbit of the moon & ebb & flow of the tide, also driven by the sounds & movements of people in the gallery space, & affected by live data from global weather buoys streamed to custom IoT electronics.